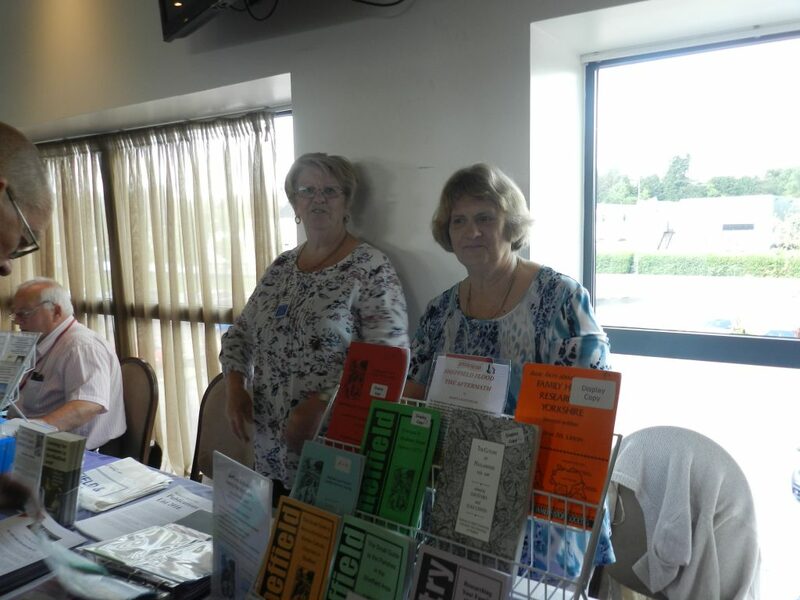 Members of CADFHS manning the stands these were Name the Teddy, Our Raffle and second hand books of all kind many research books. 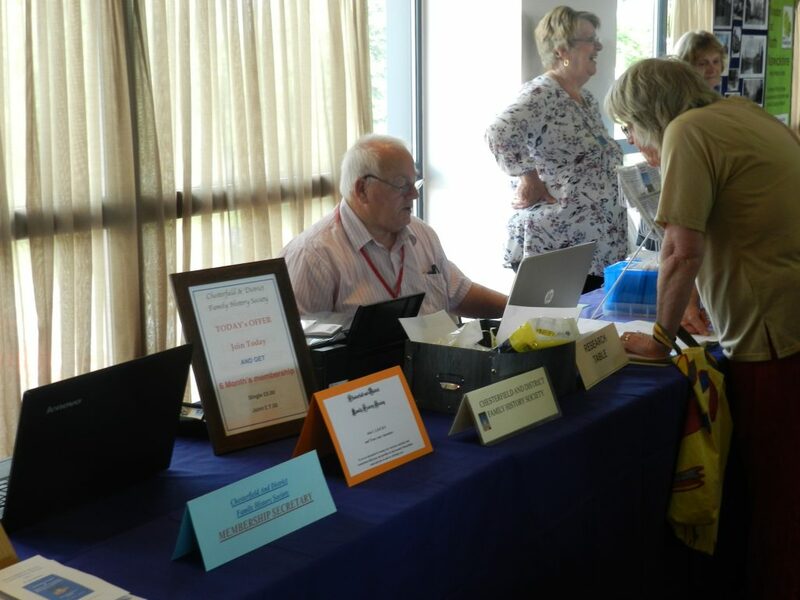 CADFHS one of two Research Table, this one was manned by Terry Cocking seen here helping a visitor. 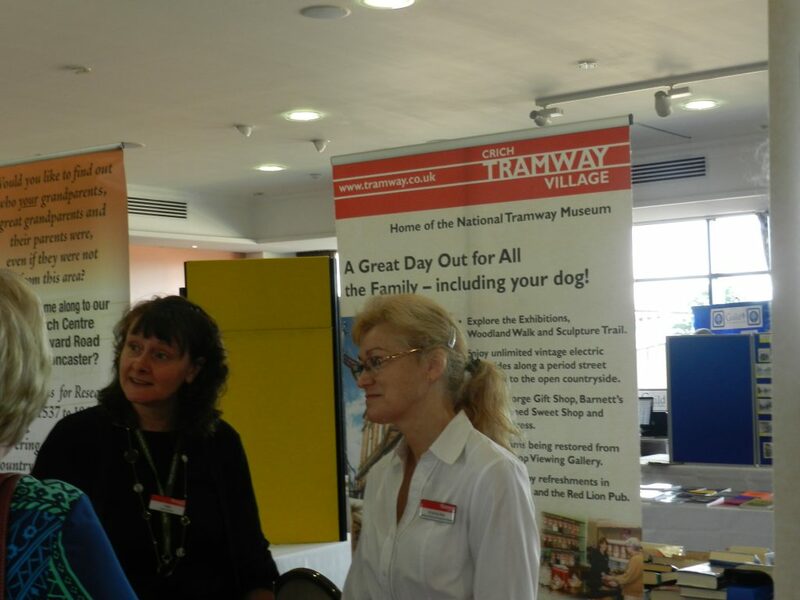 Amanda Blair of the Tramway Village Museum [Crich] Stand . Many thanks also to the museum for donating a family ticket for the raffle prize yet again. 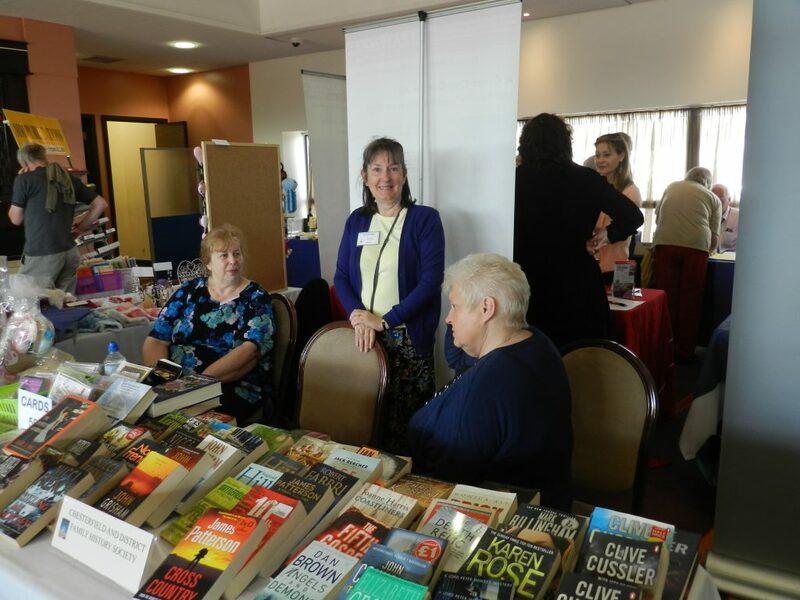 Experienced genealogist and editor Angela Treweek, and another members of the Sheffield and District Family History Society ready for the doors opening at 10am to the 2017 event. They are ready to help visitor with their research and any questions also many items for sale to also help with research. 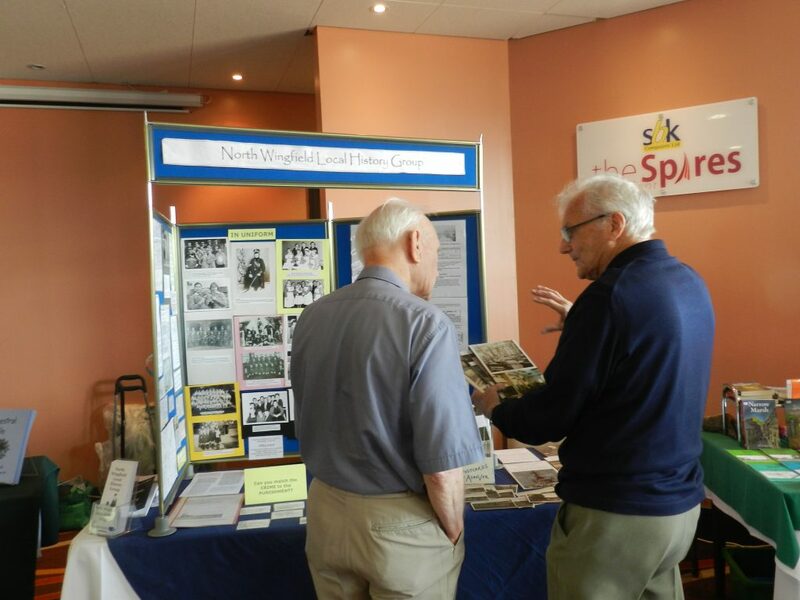 North Wingfield Local History Society, with experienced local historian, who as immense knowledge, Alan Allsopp. Alan is also the treasurer of the North the Society. He is seen here on the right speaking with a visitor. Member Isabelle Pope with her display. 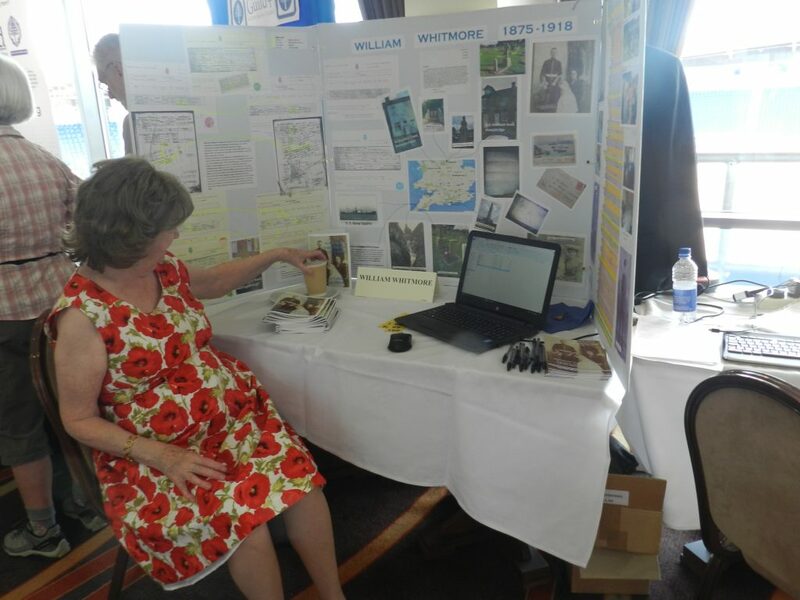 Isabelle’s research took her and Alan on a mammoth adventure proving that he, William Whitmoor was that unknown soldier washed up on a beach in 1916. Their journey was illustrated here with photographs, a presentation. Alan has now made a booklet of the research. FA Cup final day again?